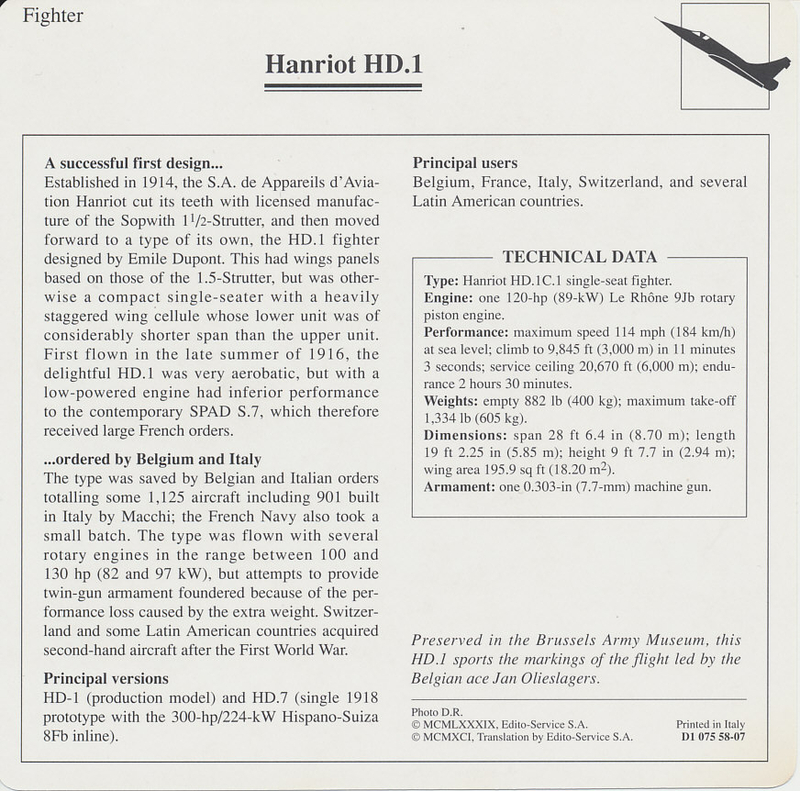 Edito Card of an Hanriot HD.1. 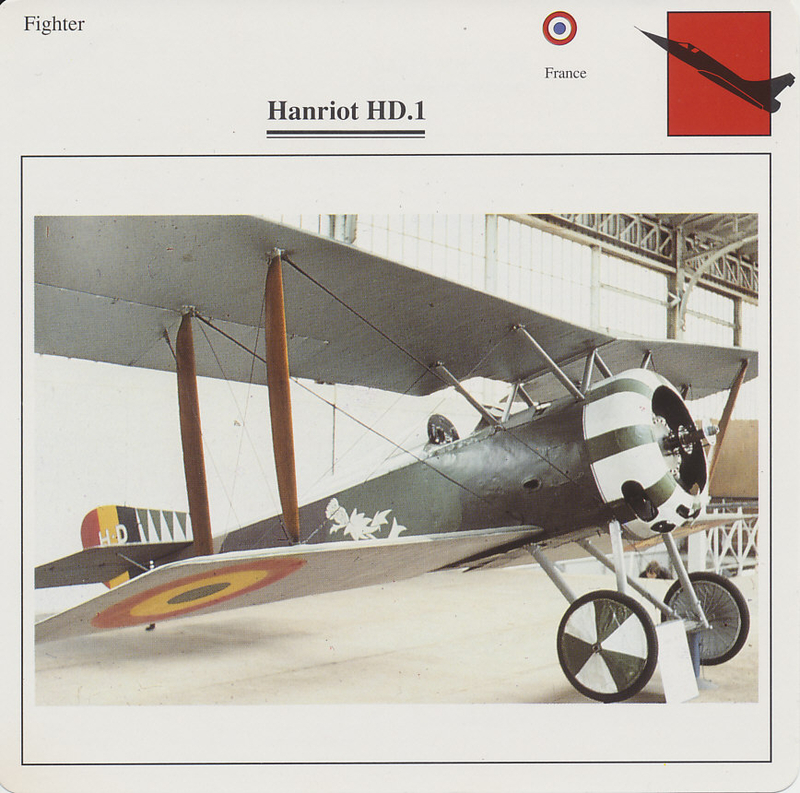 Introduced in late summer, 1916, the French Hanriot HD.1 was primarily flown by the Belgian and Italian air services. This plane is in the colors of the Belgian Air Corps. The white thistle on the fuselage was the symbol of the squadron of Willy Coppens, Belgium's leading ace of the war. The sawtooth pattern on the tail identified an individual pilot. Each patrol of three planes had an identifying cowling color. 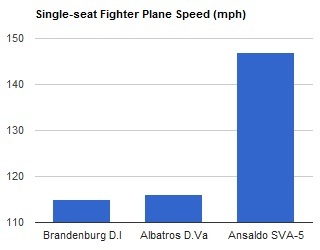 Coppens, as the leading ace, insisted on an all-blue plane. Introduced in late summer, 1916, the French Hanriot HD.1 was primarily flown by the Belgian and Italian air services. 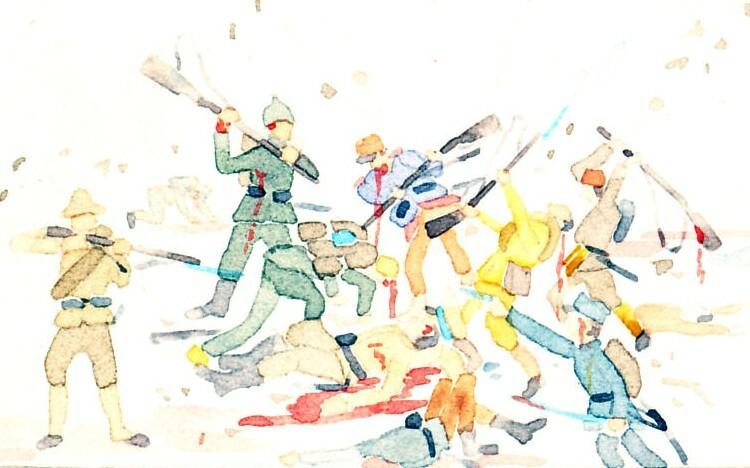 The Belgian ace and war's greatest 'balloon-buster' Willy Coppens flew the plane. Hanriot HD.1 is an aircraft: single-seat scout plane.